SocNetV version 1.2 has been released! It brings a major GUI overhaul, a new conceptualization of “prominence” measures, new importance and reachability measures, many new visualization layouts based on the new indices, and fixes a slew of bugs (see below). 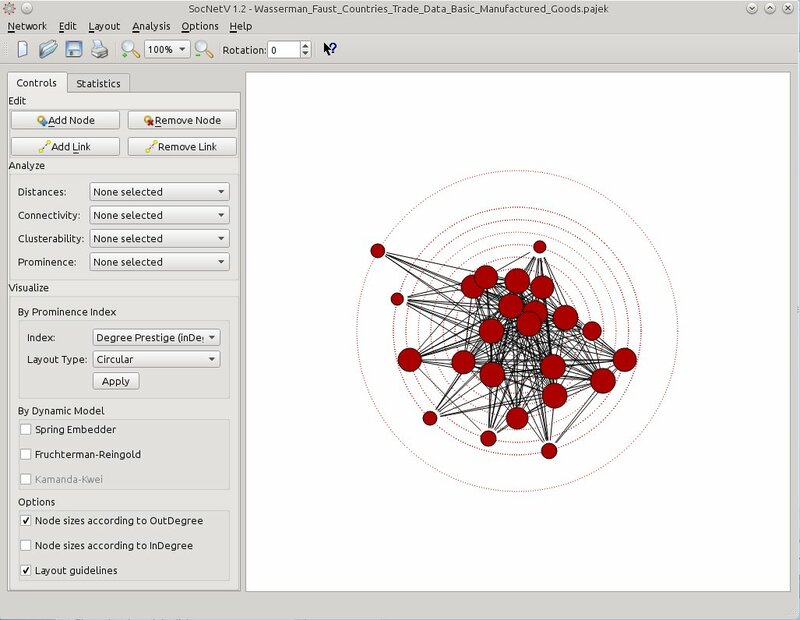 In social network analysis, structural indices attempt to measure the visibility, the importance or the “prominence” of each node. In the past, SocNetV was generally referring to these indices as “centralities”. From now on, following Wasserman & Faust and Knoke & Burt, it distinguishes two types of prominence indices: Centrality and Prestige. 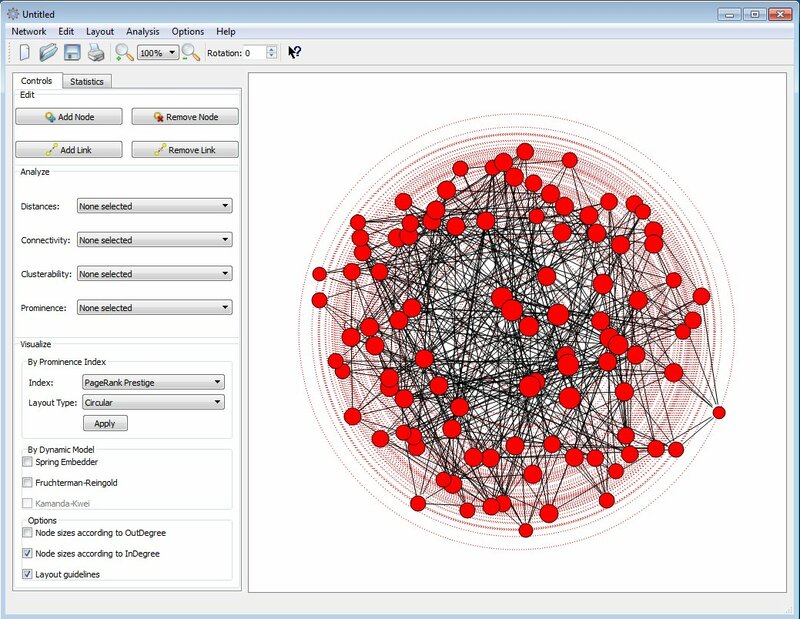 Centrality indices were designed for undirected graphs (symmetric), where the relations are non-directional, thus the SocNetV user may compute Centrality scores for nodes in such social networks/graphs. Of course, Centrality indices can also be calculated to directed relations and digraphs but the algorithms always focus on “choices made” (or outLinks). So in the case of a digraph, the Centrality Report produced by SocNetV is actually what other software call "out-Centrality". Furthermore, for directed graphs where the relations are directional SocNetV introduces a range of Prestige indices which focus on “choices received” and measure the status, rank or popularity of each node among the other network actors. These indices measure the nominations or ties to each node from all others (or its inLinks if you prefer). Thus, Prestige indices can only be calculated on directed graphs, At the moment, there only 3 prestige indices available: Degree Prestige, Proximity Prestige and PageRank Prestige. More will be available in v1.3 to be released in late September. 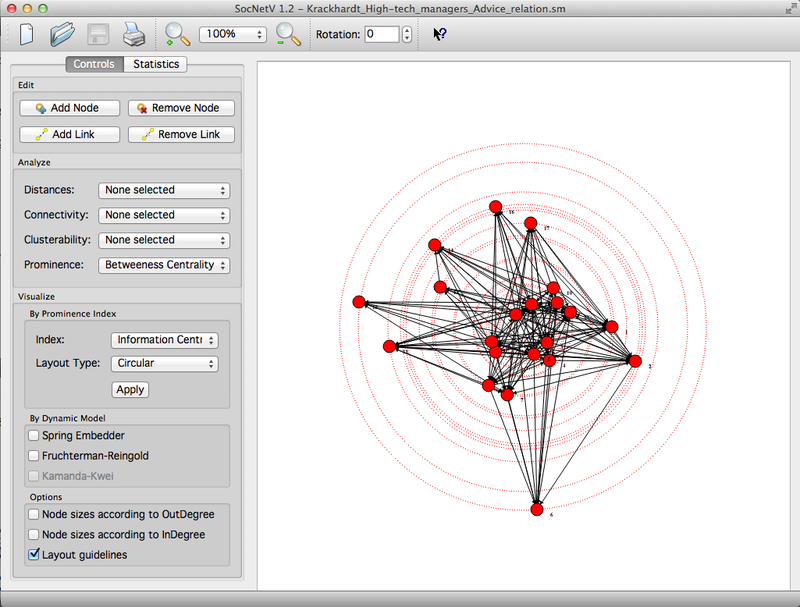 You really need one click only (or keystroke Ctrl+3) to compute a complete Betweeness Centrality report for the active network. And one more click to apply a circular visualization layout based on the BC score of each node. Except the Prestige indices, version 1.2 offers a new variant of Closeness Centrality, which is called Influence Range Closeness Centrality (IRCC). For each node u, IRCC is the standardized inverse average distance from u to every other node reachable from it. 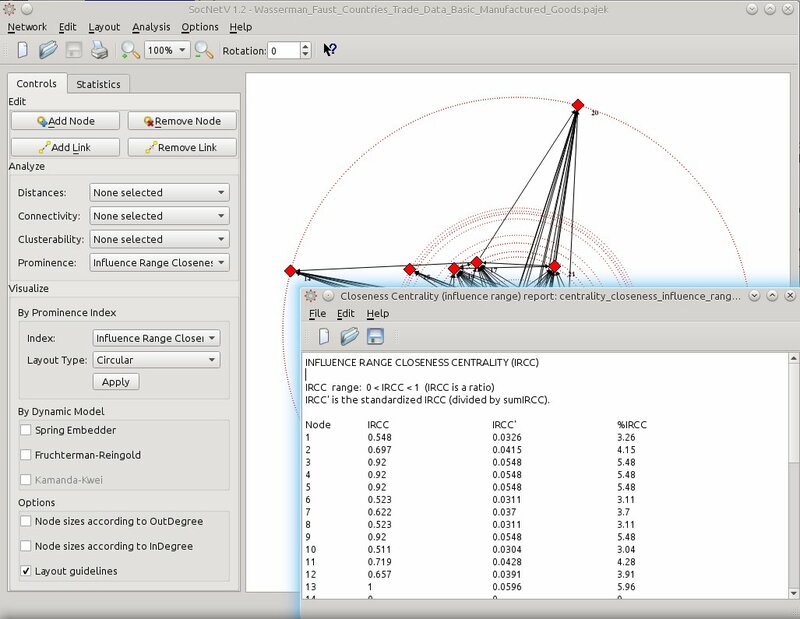 This improved CC index is optimized for graphs as well as directed graphs which are not strongly connected.